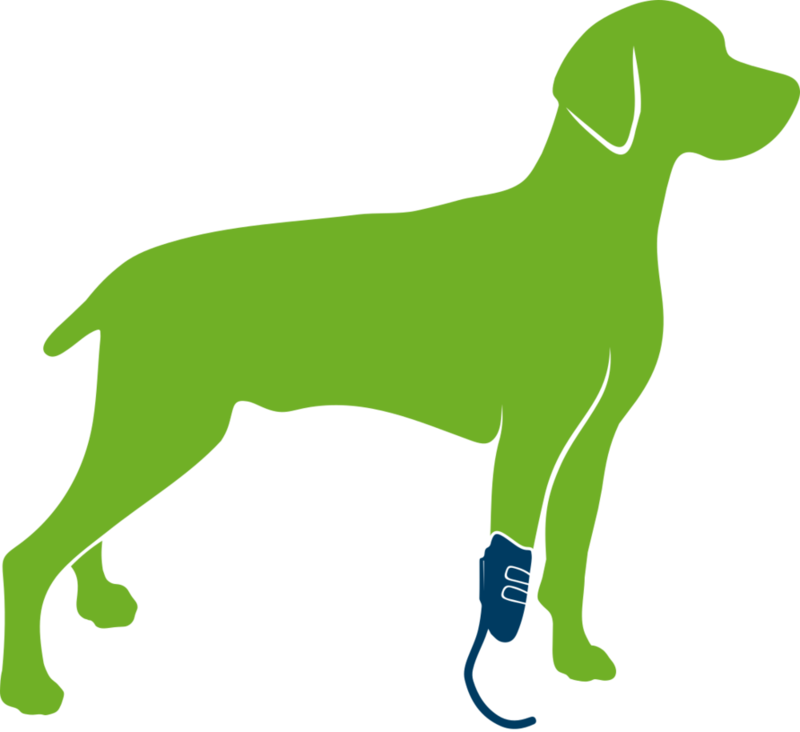 For pets with congenital limb deficiencies or those with acquired amputations, our custom prostheses can aid in restoring mobility. Fabricated with care, our innovative prostheses are built to last. High-tech or something more traditional, we've got you covered. Reach out to us to discuss your pet’s individual needs. Is my Pet a Candidate for a Prosthesis? If your pet's residual limb length falls within the range in the diagram below they are likely candidates for an artificial limb. If your pet's limb length falls outside of the range please contact us to discuss possible options. Similar to amputations in people, there are varying levels at which a dog's limb may be amputated. In general, the longer the limb the more likely prosthetic use will be successful. However, while in humans, surgeons always aim to maintain as much limb length as possible, the opposite is usually true for dogs. Canine forelimb amputations are routinely done at the scapulothoracic region, which means the entire limb is removed from the toes to the shoulder blade. The result is an amputation site that is well-protected by the residual muscle tissue. There is little to no reason to leave any residual limb if a prosthesis will not be used. Just like forelimb amputations, hindlimb amputations are generally performed at a high-level such as mid femur (the upper part of the leg) or at the hip. A lower level amputation would again mostly be of little use without the use of a prosthesis and could likely run the risk of complications such as pressure sores at the amputation site. For both the forelimb and hindlimb, the conventional rule of thumb is that the longer the residual limb, the more likely the use of an artificial limb will be successful.